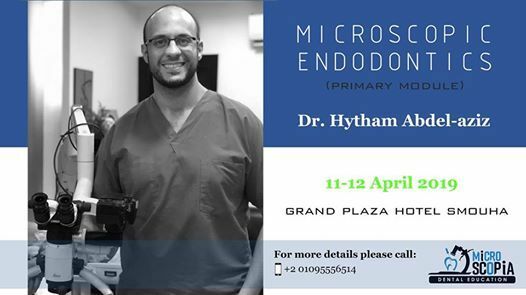 Endodontics is a treatment of layers of challenges, some of these challenges are related to the nature of endodontic disease being complex enough to be unpredictable and some of them relate to the anatomical difficulty of treating dark holes inside a dark hole. 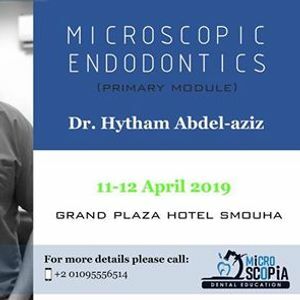 The course will be divided into two days covering various topics of diagnosis, treatment planning, perio-endo problems, the use of CBCT in endodontics, access cavity designs, micro access, instrumentation techniques and obturation techniques. 1- Do hands on using a Dental Operating Microscope doing 3 access opening (Truss access - Micro access - Caries driven access) and use Endo Guide burs. 2- Do the instrumentation using a rotary e-connect s-device and CM files and shape memory files. 3- Do the 3D Obturation using a warm vertical compaction device and suitable sealer. 4- Analyze and understand a CBCT of different clinical scenarios and be able to use to produce a proper treatment decision. -MSc Endodontics, Faculty of Dentistry, Alexandria University. -PgD Health Economics, University of Liverpool, UK. 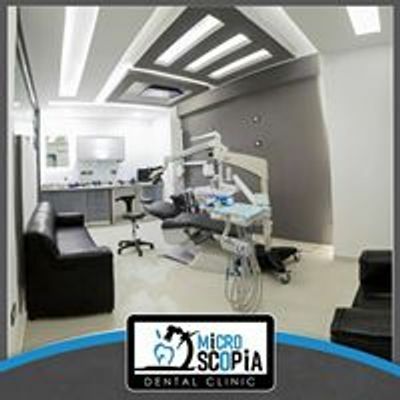 -Micro-Endodontics Specialist, Microscopia Dental Clinic.